Restore the look of your interior wood floors, furniture and cabinets. The Rejuvenate Wood Furniture and Floor Repair Markers fill in damage marks. They match natural wood tones in maple, oak, cherry, walnut, mahogany and espresso. 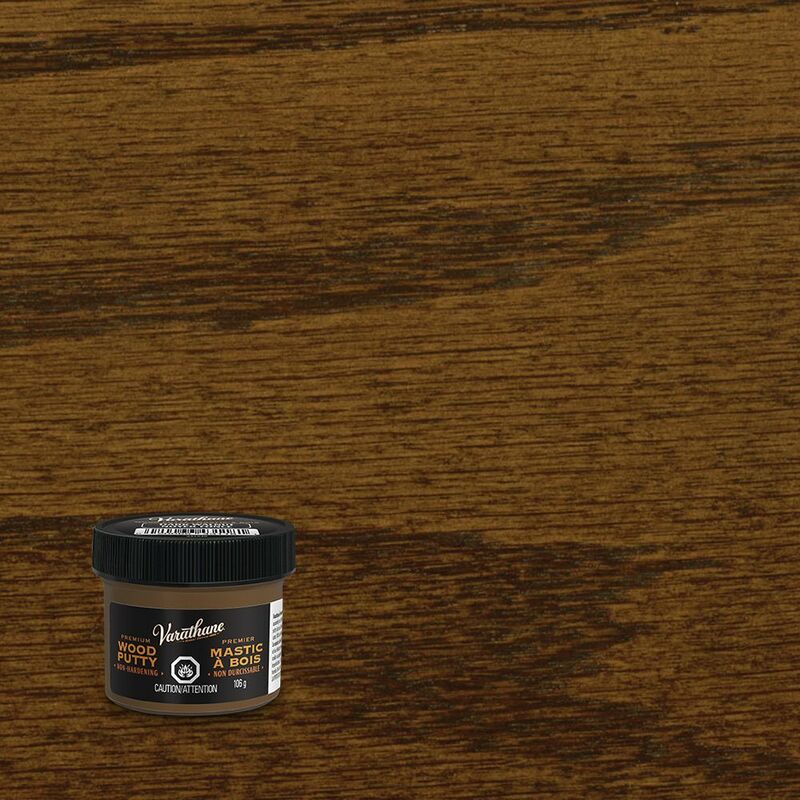 Wood Putty Dark Walnut 106g Varathane 106g Premium Wood Putty is an easy to use, non-hardening wood putty. Ideal for filing nail holes and minor defects after assembly and finishing.